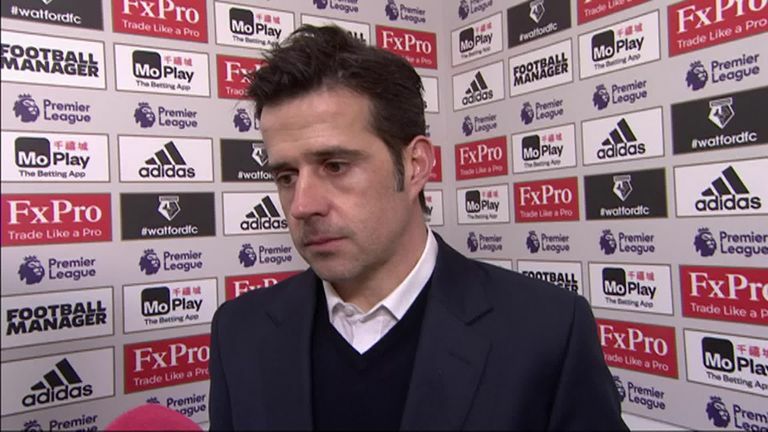 Beleaguered Everton manager Marco Silva admits his side's current form is not good enough after going down 1-0 at Watford, a third successive defeat. 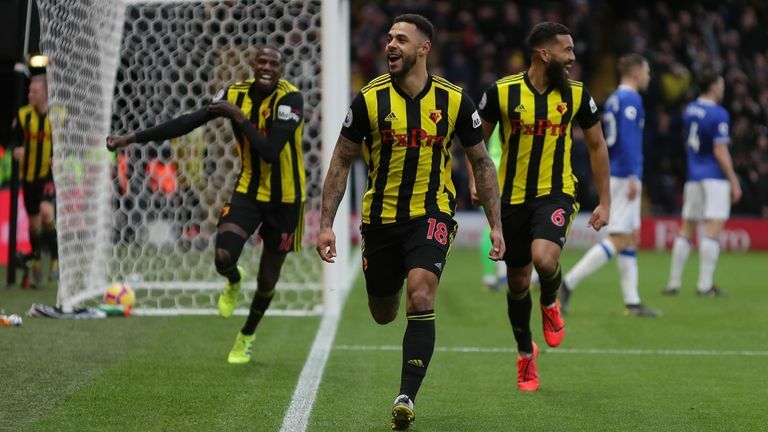 Andre Gray piled the pressure on Silva after he scored the winner for the Hornets in Saturday's grudge match at Vicarage Road. Silva was back at his old stomping ground for the first time since he was sacked as Hornets manager amid suggestions he had attempted to engineer a move to Everton, but he was unable to lift his side. The Portuguese said: "It's not good for us as a club, and for me as a manager it's not good. I'm concerned but we have to work more and more to achieve the results that can grow our confidence." "We hit the crossbar twice in the second half and had the header from Dominic [Calvert-Lewin]. At the moment, things aren't good. "They created a chance after one corner which wasn't a corner, and after a deflection they scored the goal. We just weren't effective." Gylfi Sigurdsson and Lucas Digne were the players to go close as they saw efforts come back off the crossbar, but Everton struggled to create anything to unduly trouble Ben Foster. Jordan Pickford had fortuitously saved with his head to deny Etienne Capoue before Gray struck 20 minutes into the second-half, and his fourth goal of the season was enough to seal all three points. Silva's problems mounted after the full-time whistle as Kurt Zouma was shown two yellow cards by referee Lee Probert followed by a red card for dissent, which will now rule him out of the trip to Cardiff on February 27. "I've spoken with Kurt, and what he told me is that he didn't see the first yellow card," Silva added. "He was surprised when I asked him what happened to receive a red card. I've not had the chance yet to speak with the referee. "In the first half, things were really balanced. And it was like that all match, no side commanded it more than the other. They were very direct towards Troy [Deeney] and we were prepared. "They started to win more free-kicks and fouls from the direct balls. I thought we created enough chances to score goals."